The Federal Reserve gave Wall Street a great big hug yesterday, sending the market into overdrive and naysayers heading for the hills. The fact of the matter is Jay Powell tripped up this market and sent stocks through a trapdoor back in October. The continued efforts to clean up that mess are warranted in my upcoming book. 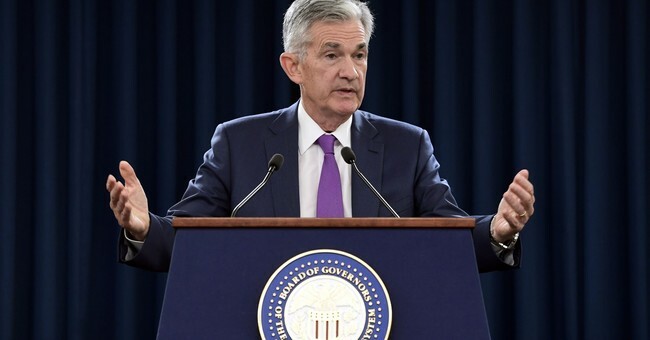 In fact, I’m cheering the fact Powell recognized his mistake(s) and has worked overtime to make it right. Moreover, there is enough fragility in the economy, especially in housing (mortgage applications were down again last week), which is lurching into a panic territory. The Fed should hike rates, according to the data, but the notion of being on autopilot was plain nuts. Powell also acknowledged the global economic slowdown on headwinds, including Brexit, trade war, and another shutdown. On that note, Chairman Powell said the shutdown and the trade war haven’t had any material effects on the economy. That probably angered the financial media more than this new form of accommodation. They ran their heads very hard against wrong ideas and persisted in trying to fit the circumstances to the ideas instead of trying to extract ideas, from the circumstances. The Fed has a history of springing into action to save the economy and the stock market, mostly to preserve the wealth of the ultra-wealthy. It’s commonly referred to as being “accommodative.” This trick is usually done by adjusting rates lower. However, in recent years, the Fed has created a whole new set of “tools” to put fiat money into the system. Fast forward to last year. Jay Powell comes into the job, thinking high and noble, and that he will find a way to trim the Fed’s balance sheet and engineer a soft-landing for the economy. Until a couple of months ago, he was sure he was doing the right thing. So, what changed? Was it public shaming from the Oval Office, or was it the free-falling stock market? Maybe it was neither one. Perhaps Powell & Co. extracted an idea from circumstances and realized they were too aggressive in the first place. I think that’s the real story, even if the media contradicts everything Powell said in that question-and-answer session. The Fed was clumsy, the economy is slowing, and there is enough fragility to justify a more deliberate approach to the rate policy. Sometimes accommodation can mean just being cool. Big earnings reports continued last night with Facebook (FB) being the most intriguing, considering recent business woes and never-ending scandals. The good news for the company, in addition to a big beat, is the needle on users that have begun to move again, after stalling for several quarters. There were several other big beats and some results, which were mixed but still encouraging. Nonetheless, Facebook will be the stock of the morning. Yesterday, the stock rallied hard despite the latest scandal, which probably isn’t a scandal, but management has made it too easy for the kind of pile- on that comes with each news story. The top gainer in Communication Services (FB) is significantly more important to the sector than Alphabet (GOOGL), Netflix (NFLX), and Disney (DIS). If initial gains hold, it could be a huge session for the sector and the broad market. In Technology, Microsoft (MSFT) edged lower, although cloud revenue was very impressive, considering a big slowdown in the Cloud at Intel (INTC) and Nvidia (NVDA). Then there’s Consumer Discretionary, which enjoyed a great session, led by Royal Caribbean Cruises (RCL) as the largest percentage gainer. However, Amazon (AMZN), which really moves the needle, will report earnings after the close. A big beat there will probably be enough to get major indices over the last remaining hurdles, and completely shift the urgency of being in the market rather than camping out on the sidelines. We took some profits yesterday not only in part to preserve large profits, but also to focus on value. The market is on the cusp of a big breakout, led by some of last year’s biggest losers, and now the biggest values. If you aren't a current subscriber to our Hotline service, call you r account representative or click here to get started today. Equities have been slipping this morning with mixed reactions to various earnings announcements. All eyes are on Amazon and scuttlebutt on the U.S. – China trade talks (early this morning the word was China not budging on key issues). Also, all eyes will be on the earnings from Amazon at the close of trading. The stock got hit three months ago when it offered lower 4 quarter guidance versus 2017 (they achieved 20% growth, but the year before, they achieved 30% growth). Amazon has gained a reputation as an industry-killer with a veracious appetite, and no industry is too big or too small, including selling live Christmas trees. With that in mind, many are saying something must be done to slow down this behemoth before the company puts too many companies out of business and too many people out of work. That debate continued to rage last week after a report in the Wall Street Journal of Amazon plans to cut down on extra delivery fees to lure customers from FedEx and UPS, and now, many analysts are wondering if these giants can survive and which will eventually be bought by Amazon. But is this just creative destruction that ultimately leads to better products and services for end-users, and is Amazon actually doing business a favor by sparking them to be better? Amazon has been deadly in newer industries with smaller companies. Amazon launched “Prints” on September 21, 2016, sending Shutter Fly shares down 14%. Amazon announced video conferencing on February 14, 2017, sending shares of Log Me In down 9% and the stock never recovered. But its Amazon’s move into larger multi-billion dollar industries with long established players that is rattling many in business and government about the company’s power to not just disrupt, but possibly destroy. On November 7, 2017, Amazon launched its furniture brand and Wayfair was hit 7% and William Sonoma 5%. On May 17, 2017, reports Amazon is interested in being a major player in the pharmaceutical world sent shares of Walgreens and CVS tumbling. Rumors of Amazon entering package delivery first reported on January 12, 2016, pressured shares of FedEx and UPS, and while both are higher since, they have significantly underperformed the market. Speaking of UPS, the company posted strong earnings driven by robust gains in America, where more customers chose the premium next day delivery service. This has been a recurring theme all earnings season, the United States economy is being driven by American consumers remaining buoyant.